‘A strong woman stands up for herself. A stronger woman stands up for everyone else’. Women have an extraordinary capacity to change the world when they are educated and understand their basic rights. Studies have proven that the whole of society benefits from empowered women, who apply what they learn to the direct advantage of their families and the communities they live in. 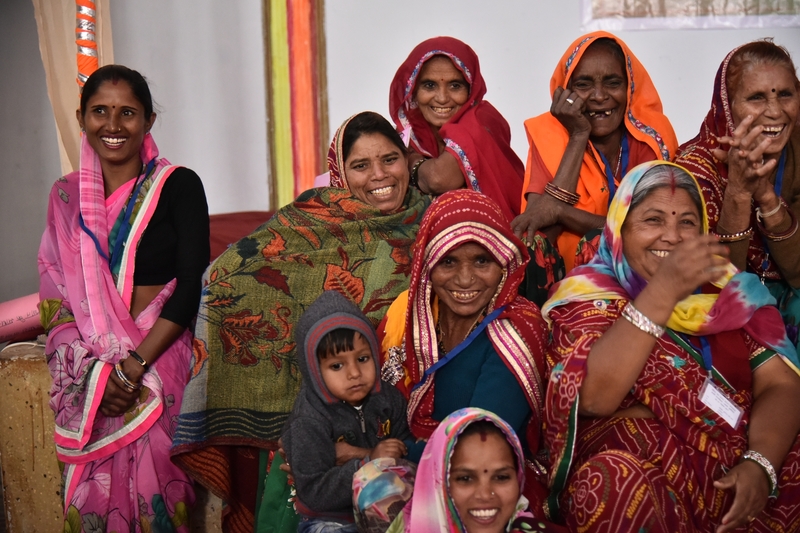 The Hunger Project values the role of women as leaders for change, and our programs are designed to help them rise above forces that oppress them, so they can use their power to end their own hunger and poverty. In many communities, women bear almost all the responsibility of meeting the basic needs of their families, yet they make up the majority of the world’s poor and illiterate people, are systematically denied resources and information necessary to thrive, and are denied a voice in vital decision making processes. When they are empowered, they prioritise actions that result in: healthier families, improved agricultural productivity, raised standards of healthcare and increased educational opportunities for girls. Hunger and disease rates decline, the local economy improves and women of the future are able to be leaders and decision-makers within their community. When women understand the power they have to initiate significant change, their actions influence other women to do the same and perceptions of their role within society shifts. Cycles of discrimination, oppression and abuse are altered, and they take on leadership and decision-making roles that had previously been denied to them. Women everywhere are hungry for change. They’re hungry for health, for equality and for freedom from oppression. When shown how they can achieve their goals, they ensure those around them know how to do the same.